Does anyone have any resources stating a US plan in case the 'tanker war' escalated after operation mantis in the 80's? I find myself sitting here thinking about how the US would have prosecuted such a war at the time. A teacher dies and teaches death. Shouldn't this be in the alternative history / what if section? it could fit there, but i'm specifically asking for references to any actual plans that were made, so i figured this would be a better location. There was no plan as the Reagan Administration was just winging it. Most of their pro-active measures were spent on covering up the fact that after having drawn the Line in the Gulf with Iran vis a vis firing Silkworms Iran continued to do so, and at U.S. ships and SOF bases. Luckily though the situation deescalated after the USN sent a half trained (half baked) captain with an undisciplined half trained crew to the Gulf so they could shoot down an innocent Iranian airliner, and got away without too much of a muss, because of general Iranian evilness (and lack of common sense). 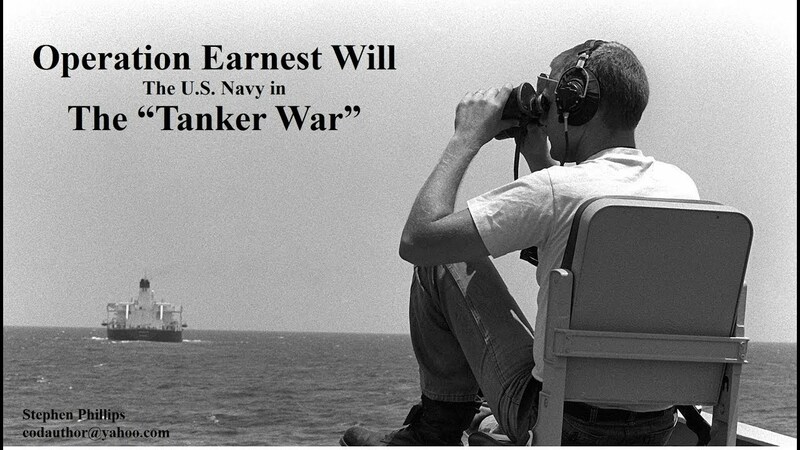 For a good read (and only real and objective study) on the Tanker War see Lee Allen Zatarain's Tanker War. It has a lot of good not well known information (especially on the battles), and damned fine analysis. Vincennes had only completed half of its work up before sailing for the Gulf, and Rogers was still unfamiliar with many of the intricacies of an Aegis cruiser. One of his sins was that the altered the command seating arrangements in the CIC, which compounded his C&C problems. Repeat, he had been in command for over a year. To easy to place ALL the blame on him. Who ordered him into Iran's waters? maybe things were different back then, but my pre-deployment work ups were all focused on operating as a battle group much more than the individual training of my ship. you spent a year or more training so you can be up to snuff during the work ups and not embarrass the command by screwing something up during work ups. Ok, Looking through Zatarain, Vincennes had been pulled off training two months early following a significant over turn in the crew. Also Rogers had not undergone AEGIS training (the only captain of an AEGIS vessel to deploy without said training then, and for many years to come), and ignored the previous captain's advice and command arrangements. One of the big mistakes was to put one officer as both surface group AAW officer as well as ship AAW officer. Roger was noted for not listening to his instructors, or fellow captains with experience. Certainly there is some blame up the chain of command, but Rogers did about everything wrong, and POed other ship COs even before the incident. It was he, of course, who initiated the whole incident with the gunboats in the first place (as far As VINCENNES was concerned). He made one bad decision after another, and ignored instruction and advice, and was overly concerned with attaining flag rank at any cost. If he is not 100% to blame, then he was in the high nineties for sure. Ok, I can agree with that. All times are GMT-5. This page was generated at 03:03.